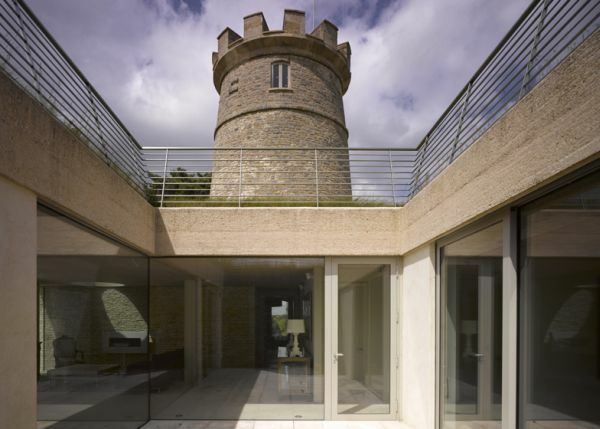 This spectacular reconversion of a Grade II listed monument into a family home is one example in a very applauded growing tendency : the recycling of historical or industrial monuments under a new functionality. 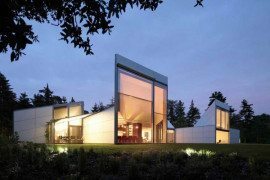 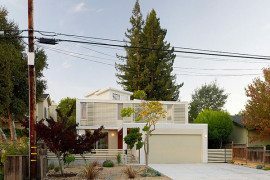 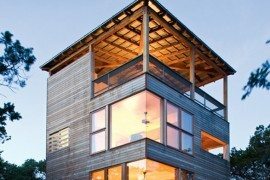 It is ecological, resource-friendly, practical from a structural point of view and, most of all, an ingenious endeavor of architecture that proves the motto “form follows function” wrong, asserting the flexibility of constructed space. 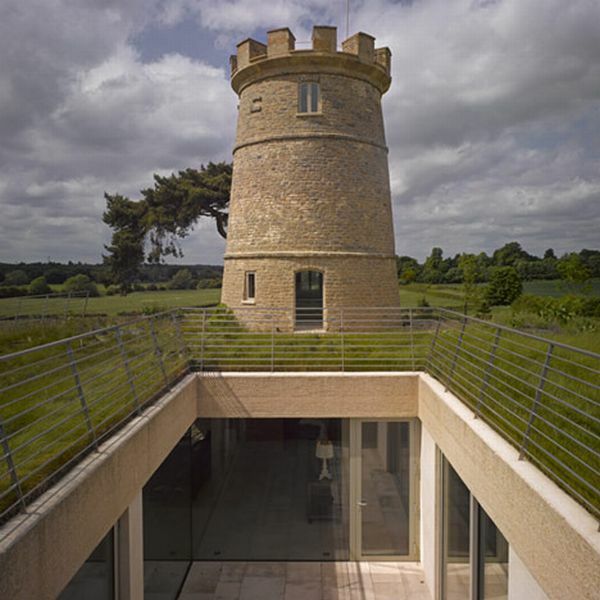 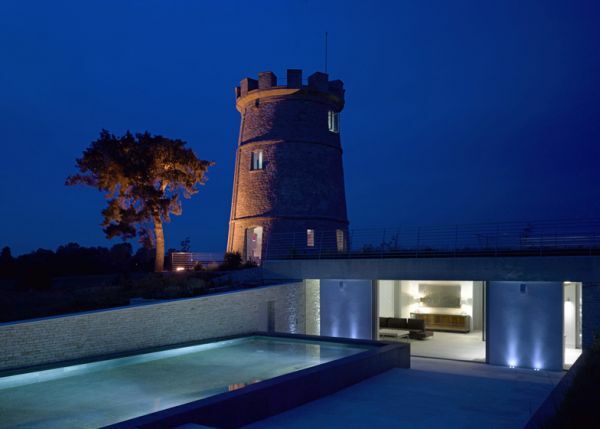 The formerly burnt and deserted Round Tower in Gloucestershire has been included by London architecture studio De Matos Ryan in a modern family home. 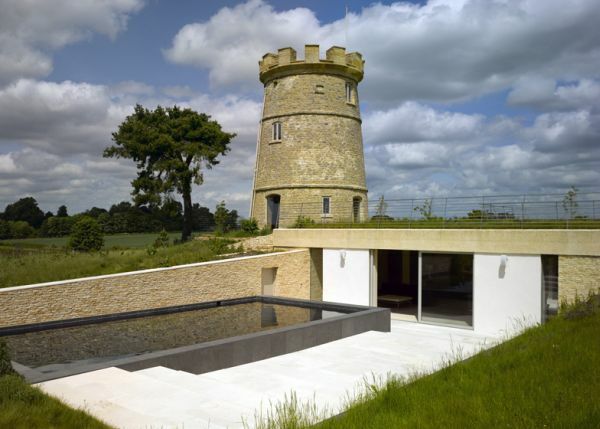 The house has been built underground, such as to not undermine the lone presence of historical monument dominating the landscape. 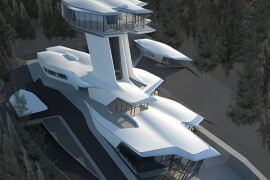 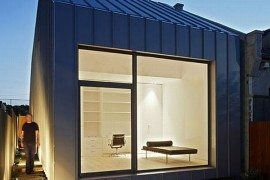 However, underground houses are known to have excellent natural insulation and climactic regulation in all seasons. 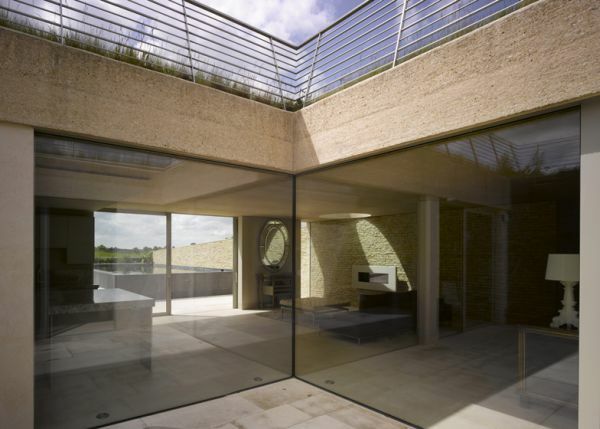 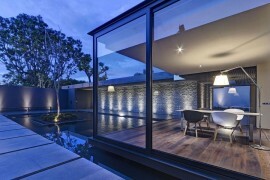 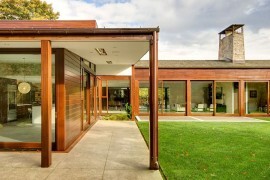 Situated partially beneath the tower, the home opens through 4 fully glazed walls toward a sunken central courtyard. 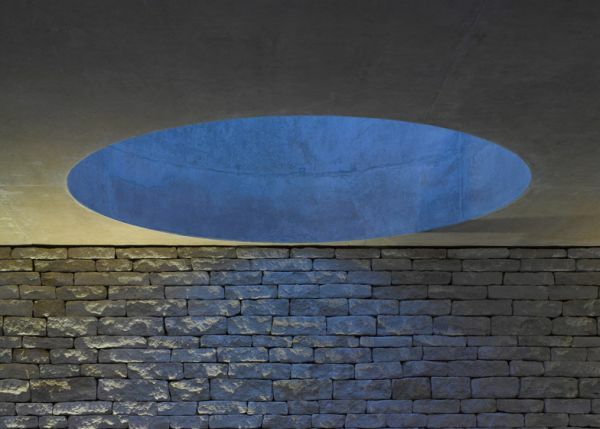 The natural lighting is provided from this central yard, another lateral landscape scoop with a swimming pool and round openings cut into the landscape. 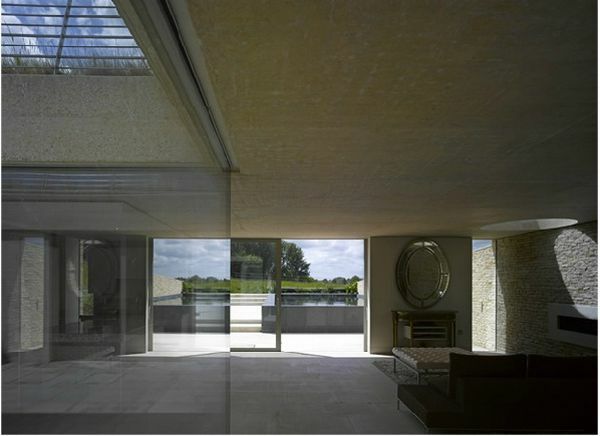 Thus, an effect of light and shadowed isles is created throughout the house. 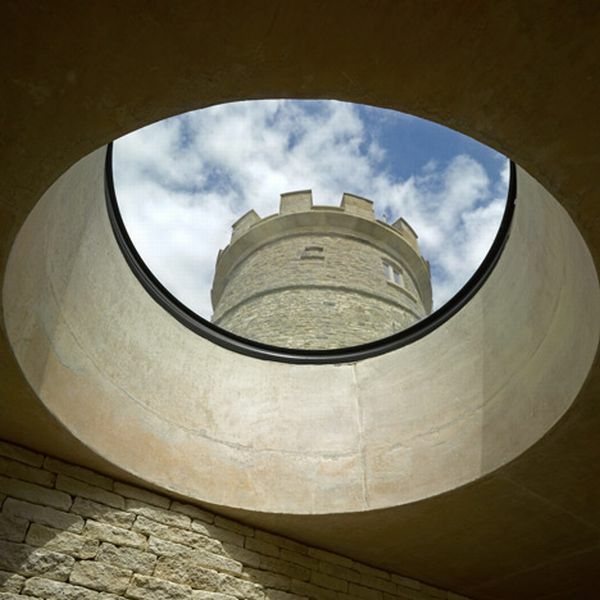 The Round Tower contains further accommodation areas and a terrace with a panoramic view on top.